Patients with repaired tetralogy Fallot often develop severe pulmonary regurgitation (PR) and need surgical or catheter valve replacement/implantation. Early valve failure is not expected and thrombosis of a biological valve in a mid-term period after surgery on pulmonary position is rare. 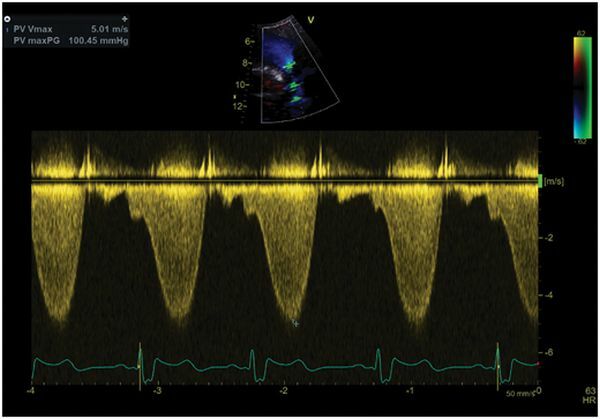 A 33-year-old female patient was reposrted, who presented with heart failure, 18 months after surgical implantation of a biological valve on pulmonary position for severe PR, after previous complete repair. The patient was on anticoagulant therapy with novel oral anticoagulants (NOACs) for paroxysmal atrial fibrillation. After revealing a big pulmonary valve (PV) thrombus as a cause of severe valve stenosis and right heart failure, patient was re-operated without complication. After surgery a long-term warfarin therapy was introduced. The patient had an uneventful 9-month follow-up. Thrombotic events after rivaroxaban therapy are rare in non-valvular disease and there is paucity of data for NOAC therapy related to valve thrombosis. In this case, severe heart failure 1 year and a half after PV replacement, in a patient taking anticoagulant therapy, was unexpected. 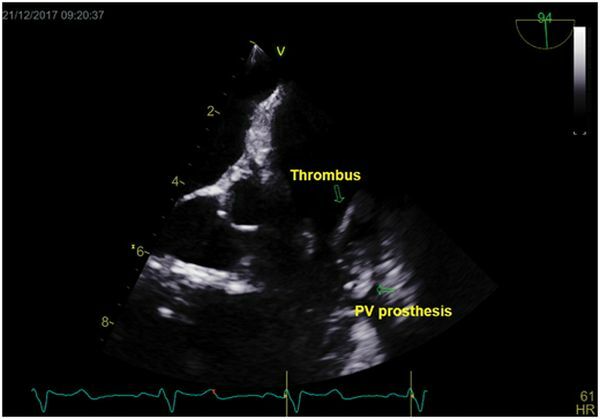 The diagnosis of valve thrombosis was revealed by echocardiography, and confirmed by computed tomography. 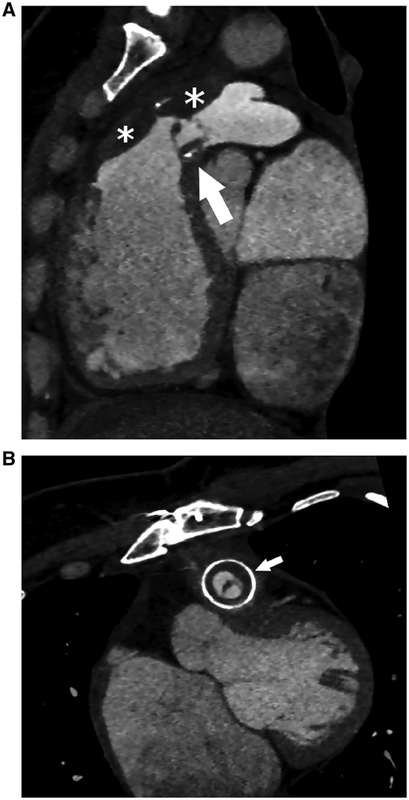 There was no sign of thrombophilia, or any mechanical reason for valve thrombosis.